In the previous section, it was related how Wepwawet came to be history's first werewolf and Egyptian deathgod, and that many applicants came to him, begging to be sanctified, made into gods. Wepwawet refused all until the coming of Anubis. Slowly the two gods became estranged – Wepwawet desired inner mastery; Anubis sought outer sovereignty. Wepwawet was a democrat; Anubis an elitist. It cannot be doubted that at first, at least, Anubis's motives were noble – ordering and protecting, guiding and teaching his fellow beings. But eventually, Anubis succumbed to the temptations of power, returning to Abydos, and later the new capital Memphis, setting himself up as a god revealed. Anubis had already learned the lesson that it was in his blood that godhood resided. He discovered that he could infuse his blood into other animals, even birds, and later harvest that blood with new animal potentials. He made other gods to share the burden of rule, but first and foremost he made Osiris and Ptah, and then Seth and Isis. Soon thereafter Osiris made Horus, avatar of the Pharaoh, the living god. Divine kingship became forever Egypt's political system, and for long was symbolized by Horus. Horus instigated the policy that any pharaoh, as death approached, could receive the god blood and thus have a chance to become a true living god. Few pharaohs indeed succeeded in that arduous journey, but the title 'living god' was true at least in potential and contributed to pharaoh's complete loyalty to the pantheon. Each god was modeled to a god already extant in the Egyptian belief system, so that a living god could seamlessly be inserted into (or out of) his own history, his own image god, the god he was made to embody. Some moved from city to city, or changed attribute, or were killed and replaced, so that the most certain aspect of Egypt's religion was its chaotic inconsistency, which never seemed to disturb the Egyptian mind. The gods he made lost the values of the early teachings of the priesthood. They turned from growth and sought cultural stasis, a never changing eternity of adulation and power. They became an entrenched system, the defining features of Egypt – a conservative but enormously successful machine based on a religion of living gods, death and resurrection from the grave – gods rising up from the mortal coma of rabies. Wepwawet never again shared his own blood. He lingered for a while in Lycopolis, respected, but superfluous. He was a non-factor to the gods in the capital. They created their own godlings and heavenly hierarchy, leaving Wepwawet to his idealism. One day he mattered even less; by the advent of the Second Dynasty, he was gone and left no further trace in Egypt or elsewhere. If his tale is not ended, its further chapters are yet to be revealed. This was the period of the greatest might of the True Gods. It was during this period that the gods learned the 'secret' of infecting cold-blooded creatures with the wer virus and were able to create a crocodile god. Egypt, bolstered by the self-esteem of a land with living gods, waged campaigns in Asia, Nubia and Libya. It was a glorious age of expansionism. It had already long been Anubis's policy that the gods should only be made from the royalty of the ruling houses of the capital city. This was partially because of his royal heritage and elitism, but more so to concentrate the divine blood. The practice of inter-marriage between brother and sister, father and daughter, relative and relative was fixed with divine authority and for ever after an attribute of Egypt. There was only one exception to this rule – Ra. Ra came from a province, far from Memphis and far from the royal blood. Yet the force of his personality, his intelligence and charisma, so charmed Anubis, that the death-god gave his own blood to Ra. For a long time Anubis had not made a new god from his blood, and never would he do so again in Egypt. Ra quickly became great among the gods, though his image god had been of little importance beforehand. As Egypt entered the third dynasty, writing had evolved from a few simple signs of commerce to a system of several hundred characters. The typical Ancient Egyptian architecture was established. The gods were entrenched; the Sinai Peninsula, rich in turquoise and copper, was tamed; and a warrior caste developed. The step pyramid was developed as a stairway to the stars for the gods and Pharaoh, the Living God. By the end of the Third Dynasty (2575 BC), the relationships of the gods had become unstable. Anubis and Osiris remained pillars of constancy, but tedium had begun to oppress them. And, undeniably, some gods were faltering. Each generation of new gods was seen to have less strength than the gods who made them. Any wer-child was stronger than any wer-grandchild. 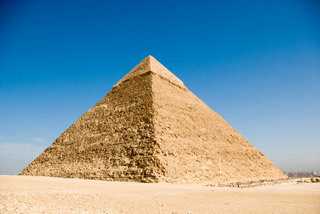 From 2575 BCE forward, the step pyramids of the Third Dynasty gave way to smooth-sided pyramids. This change reflected shifting strengths among the pantheon, power moving from the stellar gods to the solar ones. 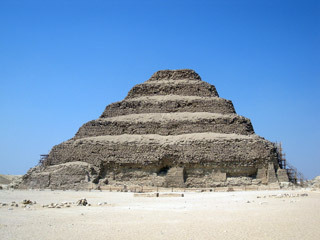 The step pyramid symbolized stairs to the stars. The smooth pyramid was a solar symbol, and reflected the ascendancy of Ra over Horus, the Pharaoh now being seen as a sun king, son of Ra. Anubis was uneasy at these changes, wondering why he and Osiris remained pristine, when all the other gods, save Ra, weakened. What he didn't know was that with each generation of gods – each passage of the disease away from its natural host, the wolf – the virus was growing weaker, the transfer of genetic material sketchier. To activate the secondary genome and confer shape shifting, the virus must be virulent. But the longer the virus is in the human body, the more the immune system attenuates it. And the more immune systems it passes through, the weaker it gets, its virulence passing indefinitely only from wolf to wolf, its natural host. Anubis lost interest in his own social experiment and ceded almost all power to Osiris, becoming a mere guide to the dead, the same role Wepwawet had once taken. The Nomarchs, the governors of the provinces, began to grow in power, though not in cultural influence, as the gods, who inspired and informed, remained in the capital city of Memphis. It is at this time that we can see signs of that the power of the Living Gods had begun to wane for it is during the Fifth Dynasty that appear the first Pyramid Texts – religious spells written on the walls of tombs to protect a human after his death. The Living Gods were diminishing, their presence less felt, and humanity turned back to the old Image Gods, purchasing protection with spells and prayers. As long as the Egyptians had the incontestable presence of gods, albeit a shifting pantheon, Egypt remained strong and centralized. But the mighty Old Kingdom, which had endured a thousand years, ended upon the death of Pharaoh Pepi II, last king of the 6th Dynasty, and the central government in Memphis collapsed, initiating a period of turmoil known as the 1st Intermediate Period. The textbook explanation for this collapse is simply that Pepi II's reign was so long (lasting from childhood to his nineties), that as his mental health failed, he lost power to the central administration and to the provincial governors (the Nomarchs). Others say it was due to climatic changes and failures in the Nile's flood cycles, which was certainly true, but the passing of an empire that had endured for a millennium needs a more profound accounting. A fundamental change must be sought. The real explanation lies in the fact that the gods had begun to age. Indeed gods had been aging, and even dying, for hundreds of years, but during the reign of Pepi II, they failed nearly en masse, except only Anubis and Osiris and Ra. To Anubis the mortality of the younger gods proved their impurity and unworthiness, and he purged them from the capital, forbidding them to appear in public upon pain of death. But these younger gods, though physically much weaker, were full of ambition, unlike Anubis. They moved to the provinces and established their own power bases, while Anubis withdrew more and more from public life. He could spend a month without moving, in apparent sleep or meditation, and affairs of state held no interest for him. Osiris was only slightly more involved in the 'real world'. Nobody dared assert authority in the capital while Anubis yet lived and, officially, backed the waning Pepi II, so central authority slowly failed, slipping into the hands of administrative officials. Some authorities include the 7th and 8th Dynasties in the Old Kingdom, but it was during this era that the central government lost control of Egypt, and during this period that a frightening change in the gods let chaos enter the land. All, or most all, of the remaining living gods, fled to the provinces. Though weakened, they were immeasurably stronger than mortals, and, with their animal aspects, obviously supernatural. The provinces, boosted by their presence, grew stronger. Anubis stayed in Memphis. Osiris moved to Thebes. Ra took up residence in Henen-nesut, later Heracleopolis. (Called 'City of Hercules' by the Greeks, who mistakenly identified a local god, Herishef, with the Greek demi-god.) This city was formerly associated with Horus, and Ra's residence there emphasized his triumph over Horus as representative of Pharaoh. Heracleopolis was of immense importance during this time, but later faded and never regained its prominence. Thus there was a tri-polar cold war. Some provincial rulers remained loyal to the central government in Memphis and its kings (7th and 8th Dynasty). Others followed Ra and his puppet kings at Heracleopolis, (9th and 10th Dynasty). Their influence spread to Abydos and Dendara, where its growth was checked by the followers of Osiris at Thebes, in Middle Egypt. The conflict of the rivaling dynasties broke into open warfare, subjecting at least part of the country to civil war. Osiris's factor, led by Mentuhotep II, won, but it was a pyrrhic victory, as Ra grew stronger and Osiris weaker. Still the peace ushered in a new era of unity and prosperity – the Middle Kingdom. The provincial gods, ambitious although weak and aging, stayed mostly in their temples. The Weprabies, attenuated by centuries of attack by its hosts' immune systems, failed, and with its demise the gods were returned to mortality. Anubis, being closest to the original host, had the most virulent form of the virus, and Osiris and Ra second-most. The weakness of a culture reliant upon the presence of gods made itself obvious. Egypt faltered. Without the constant presence of the gods backing Pharaoh as the living god, the country lost its sense of direction. Without its indwelling gods, the foundation of Egypt, the social structure crumbled into a hundred-year abyss. But the dispersion of the gods spread the Pharaonic culture throughout the country, instead of leaving it concentrated solely in Memphis in the Royal Court, thus ensuring it survived the death of the Old Kingdom. Osiris had become alarmed at the fragmentation of Egypt and dedicated himself to its re-unification under his protegé Mentuhotep. During the period of chaos, the entire generation of Egyptians died off who had known gods to walk about among the people. The new generations knew gods existed in the temples, but were never seen except by their priests. Under Mentuhotep Egypt was re-inspired and turned to monumental building and the country prospered. Osiris sought reconciliation with Ra. Anubis realized that Osiris had begun to age and weaken. 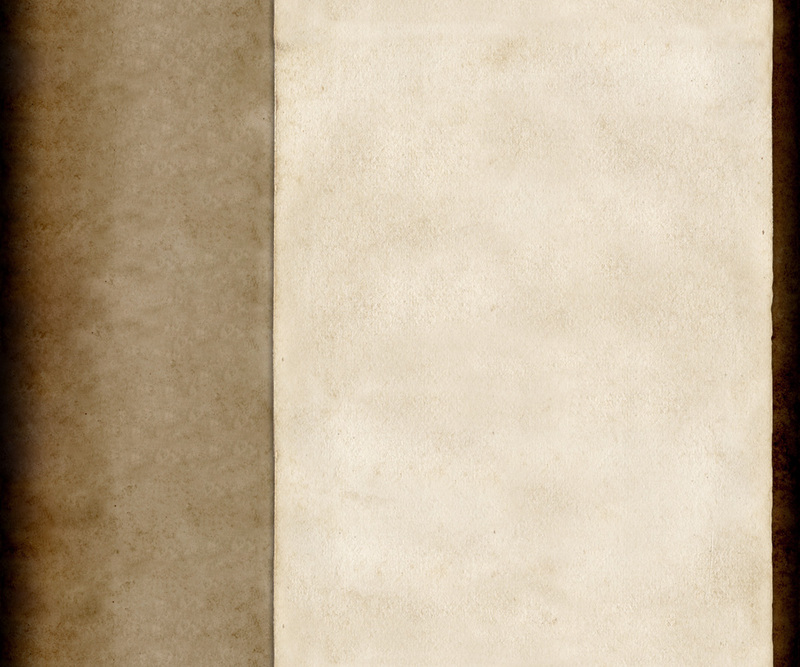 Osiris himself recognized this and made peace with Ra, sharing a joint overlordship centered in the city of Lisht. Ra, like Anubis, remained unsullied by age and made a new god, Amun, who was either his son or his lover, or both. Ra sent Amun to Thebes, where Osiris had formerly ruled. From the first Amun remained hidden in his temple, never walking among the people. (His name, indeed, signifies 'the hidden one'. This may have been to keep peace with Osiris, for though he wished to usurp Osiris's power, Amun did not want open conflict with the beloved of Anubis, especially when he knew he had merely to wait for time to bring him his desire.) Yet he championed the common people and became greatly popular among them. In a sweeping Götterdämmerung, in the course of one hundred years, almost all the secondary gods perished, leaving their temples empty except for their images and priests, and the godly/ghostly myths, the 'image gods', which had come before the Living Gods and would outlast them all. Anubis secretly began to believe that he, too, might age. He recognized that each removal of the god-blood from its original source had resulted in a decrease in its potency, and that somehow Ra remained strong because he had not been of the royalty of Memphis, where the god-blood had been so pervasively spread by the interbreeding of the royal families, from which the gods had all been culled. He did not have the science to realize that this millennia-long exposure to the virus among the Egyptian royalty had given them all a measure of immunity to it. Anubis began his great quest – the search for the original source of godhood. He recognized finally that he had lasted so long only because he had been so close to the fount, taking the blood directly from Wepwawet. Yet even Wepwawet had received the blood from some source. Anubis's only hope for life was to find that original fount, Wepwawet's source of godhood. It was a millennium too late to question Wepwawet, and no other source of knowledge of that first expedition remained in Egypt, except what Anubis himself knew – that Wepwawet had once left Egypt as a mortal and returned from some foreign land as a god. When he roused himself from his long semi-slumber and took charge, no one, not even Ra, dared cross him, not even when he moved the administrative center of Thebes to a new city, Itj-tawi, near the Fayum-oasis, and made Memphis the official capital again. However, it was soon seen that he no longer had any interest in the capital, but only in exploratory expeditions disguised as military campaigns. He sent the Pharaohs Amenemhat and his son Sesostris I to the South of the first cataract, and later worked through Sesostris III, while he himself explored to the east. To the north was Greece, well-known to Egypt and harboring no legends of animal gods. Slowly the idea grew in the mind of Anubis that he must go west, into the great ocean which nobody had ever crossed and returned to tell of. In the meantime, the military/exploration ventures he had set in motion greatly increased the economy and culture of Egypt, so that the Twelfth Dynasty would later be remembered as a golden era and Sesostris III would be worshiped as a god, though he never became one in the flesh. Later Thebes would regain its importance, as the center of the cult of Amun. But with the death of all the gods except Anubis, Osiris, Ra and Amun, the provinces lost their power and with Anubis grown active again, the central administration was revived. But by the end of the Twelfth Dynasty the great god Osiris ceased to exist in fleshly form. Anubis had truly loved Osiris and at his death plunged into alternating fits of rage and depression. The cults of Ra and Amun grew stronger and more dominant, but they themselves remained circumspect, fearing the ever mighty Anubis, especially in his frenzies of passion. Anubis, for his part, had no heart to quarrel with the last of the living gods. He had recognized that his day had passed and the hour of Ra and Amun had come. Yet he knew that though their cults would outlast him, they would not, and their hour would be short, indeed. His heart turned from leadership and, abandoning the Pharaohs to their own means, Anubis absented himself for long decades in his quest. These Pharaohs were weak and without significance. But Anubis had so strengthened the central administration that the country remained stable and relatively prosperous. Yet the military campaigns begun by Anubis were abandoned as were the fortresses along the Eastern border. Anubis had already satisfied himself that the original fount was not to be found in that direction. Thus the borders of Egypt became porous to Asian invaders, whether they arrived as armies or settlers. Second Intermediate 1640 - 1522 – The Hyksos "invasion"
Anubis remained absent on his great quest for the best part of a century, probably exploring the west end of the Mediterranean and the west coast of Africa. Ra and Amun alone remained to inspire Egypt, but both had visibly begun to age. Amun remained hidden, but Ra went about his tasks as best he could. He became known as the aging god. He could not inspire the armies and for the first time foreigners invaded Egypt in its incapacity. Central control by Egyptians collapsed entirely. The Hyksos had arrived. It is not recorded whether they came in military might, or as traders. They simply arrived and found Egypt without the leadership that had sustained it through nearly two millennia. Egypt rolled over without serious resistance; it fragmented again into separate states. Along with disintegration, the invaders brought with them new gods – and the horse and wagon. Around 1550, Anubis, still immaculate in his strength, returned to Egypt to find it ruled by foreigners, with Ra and Amun reduced to ruling isolated enclaves of devotees. Anubis quickly moved to foment resistance and rebellion among the rulers of the Seventeenth Dynasty. The Pharaoh Kamose nearly ousted the foreigners and his younger brother and successor, Ahmose, finished the job, ushering in a new period of prosperity and wealth – the New Kingdom. Anubis could now clearly foresee the day he would abandon Egypt utterly, and he wished to leave it strong, that it might endure without him. It had been his creation more than that of any other being, and he felt the father's concern for his son – to raise him up strong and independent, able to live on after the passing of his parents. He aided Ahmose in conquering the land from Syria-Palestine in the North, to the 2nd cataract in Nubia in the South. Almost overnight, Egypt became the most powerful nation in the Ancient Near East. This aggressive expansion continued with Ahmose's successors, especially Thutmosis I and Thutmosis III (called the Napoleon of Ancient Egypt), who stretched the boundaries of Egypt to the 4th cataract in the south and to the Euphrates river in the north. During the reign of Thutmosis III, Ra ceased to occupy earthly flesh. Such passings did not in themselves shake Egypt. Ra had existed before he was made flesh, and continued to exist afterwards without interruption. His worldly existence made no difference to the multitudes who had never seen a god, nor knew anybody else who had. And Egypt was happy with its lot. Through booty and tribute the country had grown exceedingly wealthy. Anubis was especially generous in spending on Amun and his great temple at Karnak, in the capital Thebes, for Amun was Anubis's last hope for a godly presence after Anubis's planned departure. After Thutmosis III came Thutmosis IV, and the death of Amun. Thutmosis died when his heir was still a child. In homage to Amun, Anubis had the child named Amenhotep III, meaning 'the god Amun is pleased'. Anubis took Amun's death as a sign for his time to depart, yet he did not want to leave Egypt with a child-king. Anubis lingered to see Amenhotep III raised safely to manhood. But Anubis disappeared entirely from public view, and from the knowledge of any but a few, so that when he did leave, there would be no rupture in the fabric of Egyptian culture. He became the shadowy influence behind the throne, making sure Amenhotep did not die as was so common among royalty – the victim of another's ambition for the throne. For the next twenty-five years Anubis devoted himself to polishing off all the military details that could possibly disrupt Egypt, and to establishing strong foreign trade that would assure the land's economic well-being. With this wealth, and the leisure of peace, Anubis directed – very discreetly, as the land would soon no longer have his direction at all – the building of magnificent temple work, much of it dedicated to Amun. He wished to leave Egypt the unchanging land that it had been for two thousand years – a testament to the conservative effect of nearly immortal indwelling gods. Having grown fond of Amenhotep, even from a distance – for he had worked his will through his priests and neither Amenhotep nor any of his family ever laid eyes on Anubis – the god lingered until the Pharaoh's death (between 1380 and 1353 BC). Then in secrecy, but well attended, he set out on his great quest for the Original Source, leaving Egypt never to return, making his way slowly to the western edge of the continent, to the straits of Gibraltar and a few hundred miles beyond, down the coast of modern Morocco to the lands he had spied out earlier. There he delayed to gather information and stores, reluctant to consign his entire future and all his hopes to such a great unknown as lay before him. He had reed boats built and stocked with foodstuff, priests and slaves, and sometime between 1350 and 1250 BCE he set sail from the western coast of Africa, looking for a new world, truly committing himself, for perhaps the first time, into the hands of whatever gods might be. He took with him only one piece of regalia – hedjet, the white crown of Upper Egypt, which had been his first claim to royalty. In a way, it was a symbol of humility, lowering his status from god to that of a local king. Before surfing the wake of Anubis's ship, let's take a last look at Egypt. At the death of Amenhotep III, his son, Amenhotep IV, ascended to the throne. He was the first Pharaoh to reign entirely free of the direct influence of Anubis, and he continued, and brought to a climax, the trend which had been growing in Egypt to worship the sun god, but less in the personage of Ra than that of Aten. Perhaps this originally took the form of worshiping Amenhotep III as a manifestation of the sun. In any case, Amenhotep IV began, in the first year of his reign, a new religion that seems to be the first genuine monotheism known to history – the disk of the sun being raised first to supreme god, then to only god. [Note that Moses's First Commandment, which came a century later, states only 'Thou Shalt Have No Other God Before Me', which is, of course, a candid admission that other gods exist. The Hebrew God is merely asking to be number one in line. Except for a hint by the prophet Elisha in the 900s BCE, a clear manifesto of Hebrew monotheism would wait for the Second Isaiah about 540 BCE.] 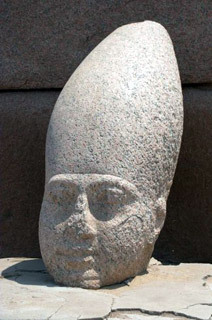 Amenhotep, in the fifth year of his reign, changed his name to Akhenaten (Spirit of the Sun), and worship of the sun god took place in the open sunlight rather than in dark temples. All these developments can be seen as the direct, and nearly inevitable, result of Egypt's loss of its Living Gods. 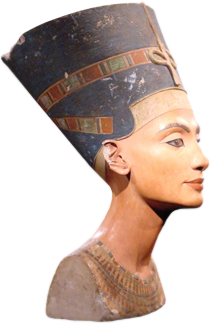 The pharoah's wife was Nefertiti whose exquisite beauty is preserved in a justly famous limestone bust. 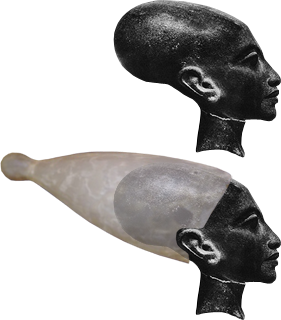 Amun was at first a variant form of Aten, but later Akhenaten had Amun's temples defaced, and the word 'gods'changed to 'god'. Anubis would have wept. 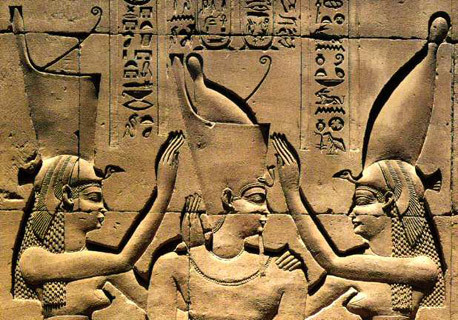 Akhenaten was one of the most original rulers in history, and much evidence suggests he was a truly well-meaning Pharaoh. Suffice it to say here that his good intentions were ill-timed and executed, and he was remembered with bitterness and hatred by later generations of Egyptians, and that Egypt rose to much greater glory after his passing. 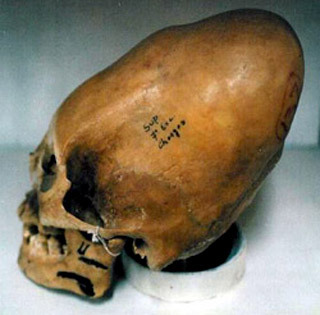 His is a story well worth reading, but beyond the scope of this article, as our goal is to follow the trail of the last Egyptian god to its culmination in the creation of the first vampire. Our guide, Anubis, is preparing to sail the Atlantic to an uncertain destination. An Image God is any god created by humanity that does not have a living embodiment – the Norse gods, the Greek and Roman gods, the Hindi gods etc. etc. etc. In this website an Image God always refers to an Egyptian animal god, independent of any living god by the same name or with the same attributes. The Image Gods existed before there was any living embodiment of them, and when, beginning with Wepwawet, (See his tab in the navigation menu.) it became possible for a human to be become a god, to take on both animal aspects (the appearance) and godlike aspects (apparent immortality, enormous strength, magickal powers), the Living God was always created in the image of a god that already existed in the myths of Egypt. This Living God then became a 'True God' taking on all the heritage of the mythical Image God plus all the advantages of being a living being. But in a way he was only a shadow of the Image God, because if he were to die, the Image God did not die. It was only as if an avatar, a physical embodiment of the god, disembodied and returned to his other world home. Later this Image God might re-embody. It would, of course, be an entirely different human, taking on the aspects of the Image God to become the Living God for perhaps a century or a millennium, but eventually, when he too passed, the Image God would continue unfazed by the passing of his temporary incarnation. This map shows the first cataract at Aswan and the next three cataracts in obviously progressively less inviting landscape. The fourth cataract is in the famous Great Bend.